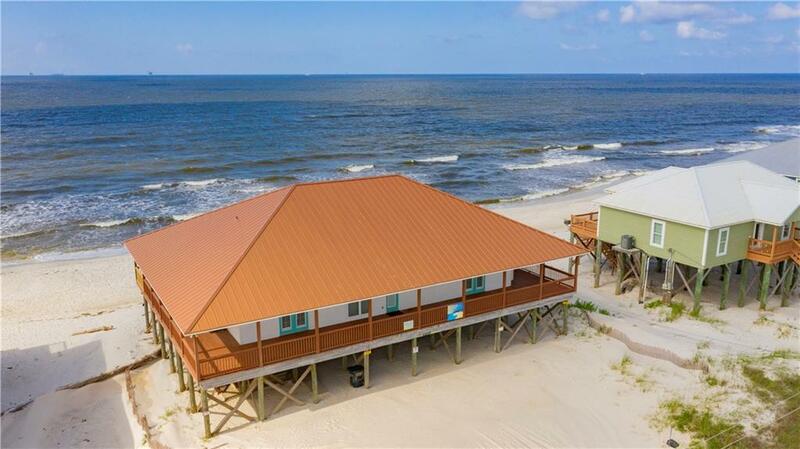 Enjoy being right on the beach with unbroken views of the Gulf of Mexico! The floorplan incorporates four bedrooms, three full baths, modern kitchen, and soaring ceilings in the great room. The generously proportioned interior flows effortlessly from the open-plan living space to the covered wrap-around porch which affords water views from all angles. 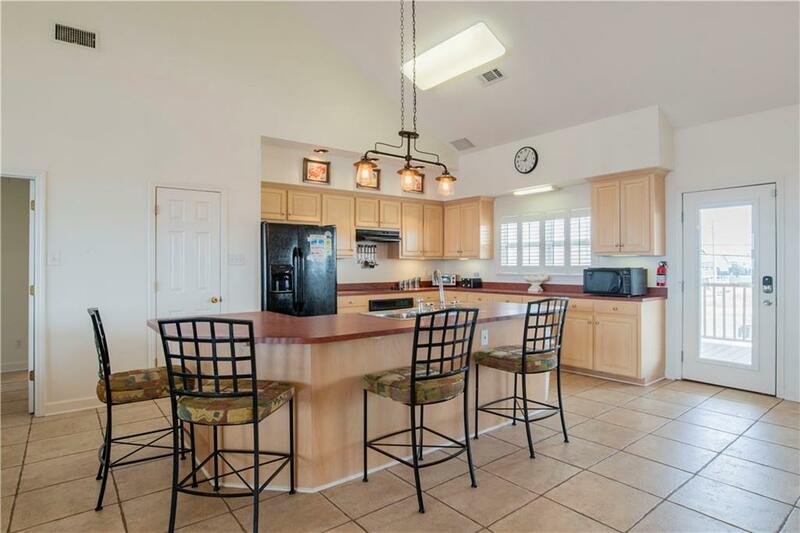 The kitchen has an abundance of cabinets with a separate pantry and a large island with breakfast bar. 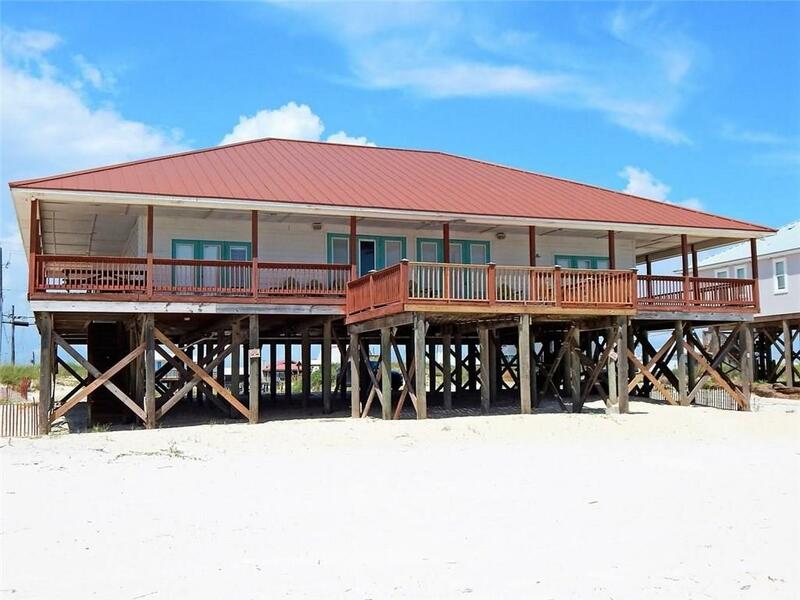 The wrap-around deck boasts approximately 2300 square under cover and another large open sundeck provides plenty of space for outdoor entertaining. Metal roof installed 11/2018. Being sold furnished for turnkey operation. On a vacation rental program with good rental history. Come catch your piece of paradise today! Listing broker makes no representation to the square footage accuracy. Buyer responsible to verify square footage and room dimensions. 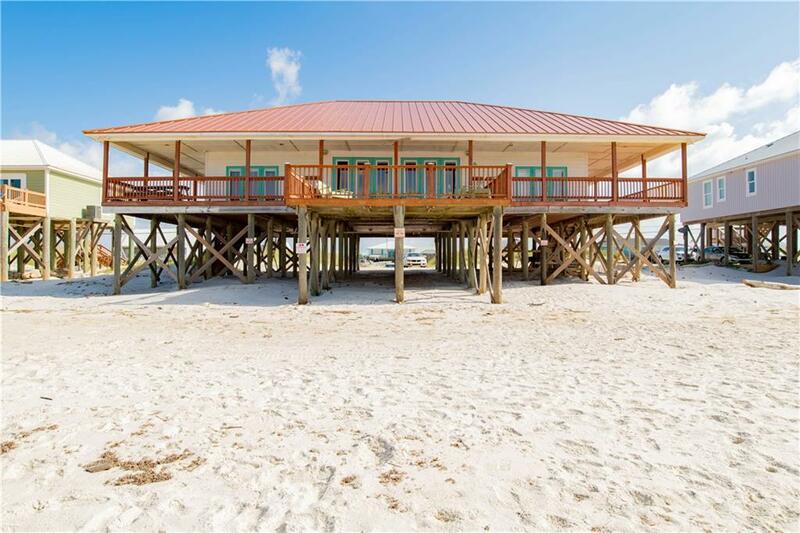 Listing courtesy of Robin Linn of Re/Max Coastal Properties.